Mr. Nava Thakuria (far right), special correspondent of The Seoul Times, poses with other awardees. The Northeast India-based journalist and a contributor to The Seoul Times, Nava Thakuria has been honoured with ERDF Awards of Excellence 2010 for his contribution to the filed of journalism. 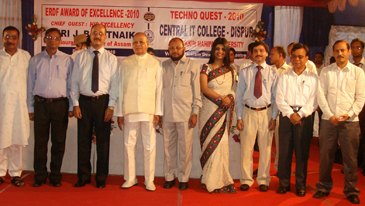 The Governor of Assam, His Excellency JB Patnaik gave away the award in a glittering function held on June 13 at Maniram Dewan Trade Centre in Guwahati. 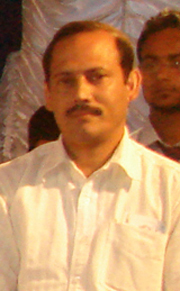 Another journalist, PJ Baruah, who works for The Assam Tribune was also awarded in the same function. Six other individuals for their outstanding contributions to the society were also honoured with the award and they include Prof Abu Nasar S Ahmed of IITG, Dr MLA Rahman of Rahman clinic, Dr AC Kataki of B Barooah Cancer Institute, Dr Dinesh Baishya of B Barooah College, consultant psychiatrist Dr Sangeeta Datta and the distinguished social worker Inam Uddin Ahmed. Others who graced the occasion were Dr SK Choudhury, director of ASTEC, Manirul Hussain of Gauhati Universty, NI Laskar of Central IT College and M. Haque, director of ERD Foundation. An independent journalist Nava Thakuria was specially recognized for his relentless effort to provide a platform for the aspiring media persons of the region. Thakuria has been covering the socio-political developments taking place in Bhutan, Nepal, Burma, Bangladesh and Northeast India for international media for many years.